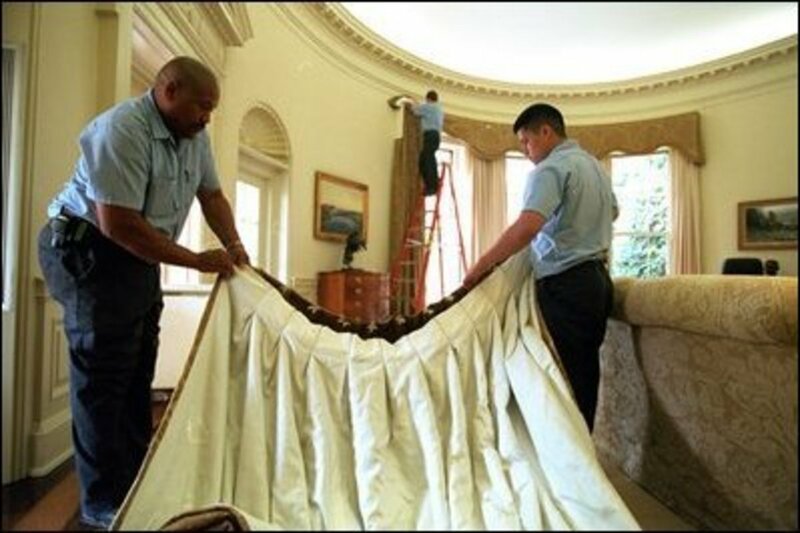 Workers bring in the new drapes for the Oval Office. Photo taken December 20, 2001. 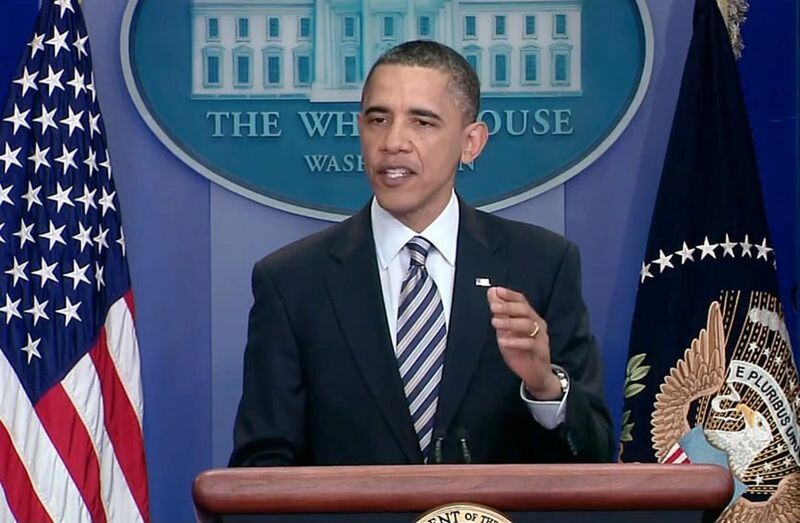 Recently, President Obama announced his renovation of the interior of the Oval Office. 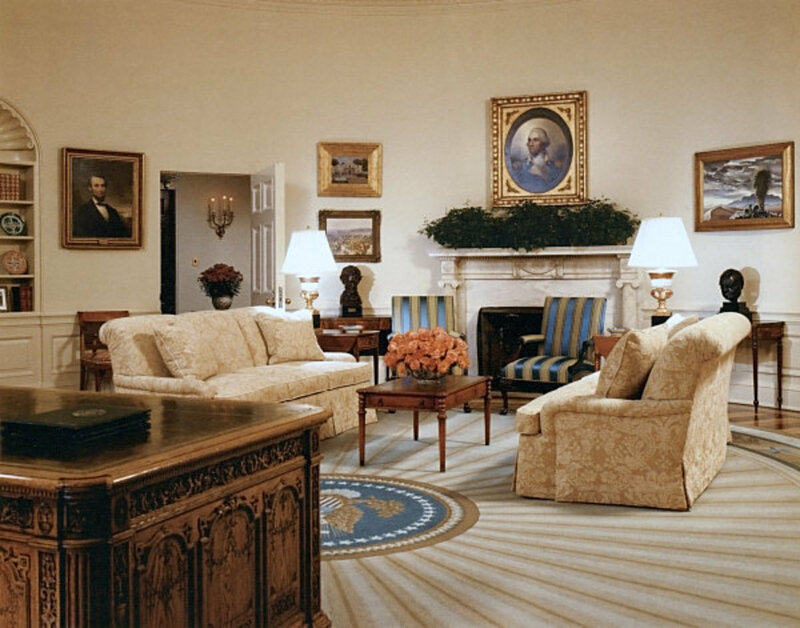 The president continued to use the furnishings that had been placed in the Oval Office by President George W. Bush. Each president adds his own touch to the Oval Office. This article is devoted to helping you become more familiar with the Oval Office makeover and décor of the Bush White House. If you would like to know more about the recent renovations by the Obamas, you can read this article. Even before his inauguration, President-elect George W. Bush and Laura Bush were browsing the inventory of White House furniture and paintings in order to put their own touch on the décor of the Oval Office. The Oval Office makeover would mostly fall on the First Lady and her long-time interior designer from Ft. Worth, Ken Blasingame. Before he was elected, candidate George W. Bush was asked what was one of the first things he would do after he was inaugurated. He got a good laugh when he said that he was going to clean the Oval Office. President Bush's Oval Office desk chair was a Global "Concorde" Executive equipped with luxurious leather with contrasting stitching, The chair weighs about 100 pounds as it is built on a steel frame along with several other heavy-duty components. In January 2002 President Bush unveiled his refurbished Oval Office. Bush’s redecoration reflected some of his historical heroes. George Washington was one such hero. Rembrandt Peale’s portrait of the first president had been placed over the fireplace mantel courtesy of Bush’s father. Washington would stay, but, being a good Republican, Bush ejected Andrew Jackson and in came one of George Story’s portraits of Abraham Lincoln. 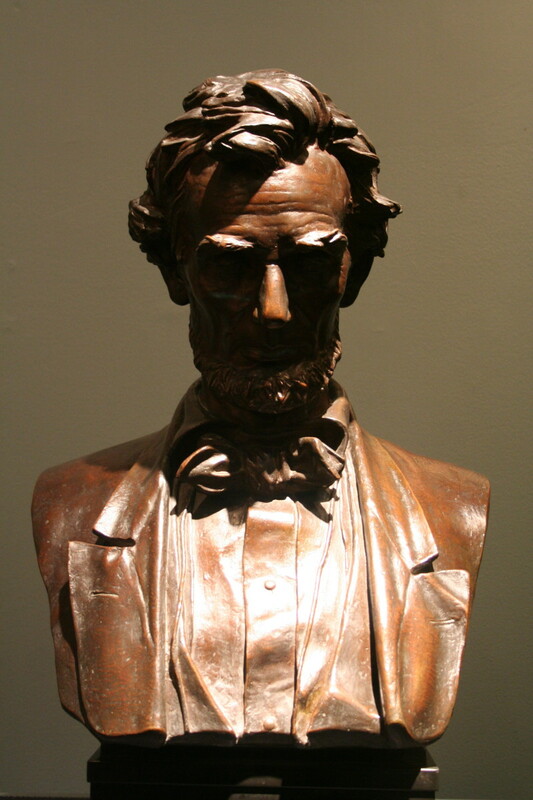 There was also a bust of Lincoln placed in the Oval Office. A bust of President Eisenhower made its debut in the Oval Office as did a Jacob Epstein bust of Winston Churchill, courtesy of the British government. In addition to the recycled memorabilia from past White Houses, some new pieces reflected Bush’s roots. A pair of spurs were on display as well as three landscapes of Texas by the impressionist painter, Julian Onderdonk (1882-1922). Bush also displayed a painting called “A Charge to Keep” which was the name of his first autobiography. The title comes from the name of a Methodist hymn written by Charles Wesley, which was performed at Bush's inauguration as governor of Texas. A bird's eye view of the Oval Office of George W. Bush. President Bush meets with President-elect Obama in the Oval Office. 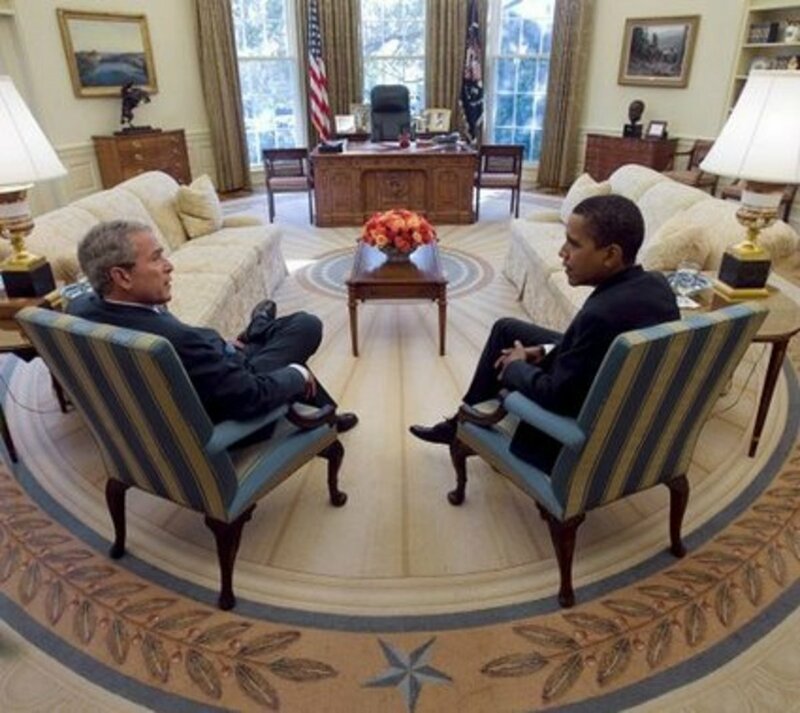 These blue and gold striped chairs were the center of many photographs that Bush had taken with Oval Office guests. 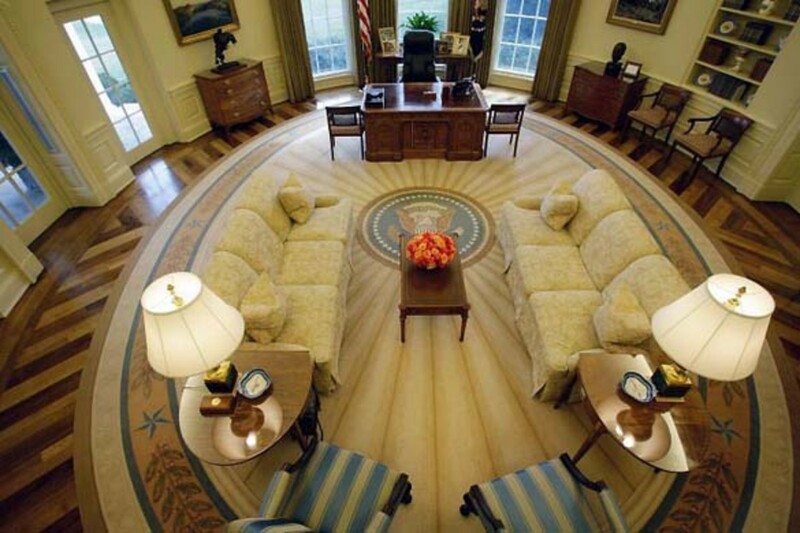 The Oval Office flooring was replaced during the Bush Administration. 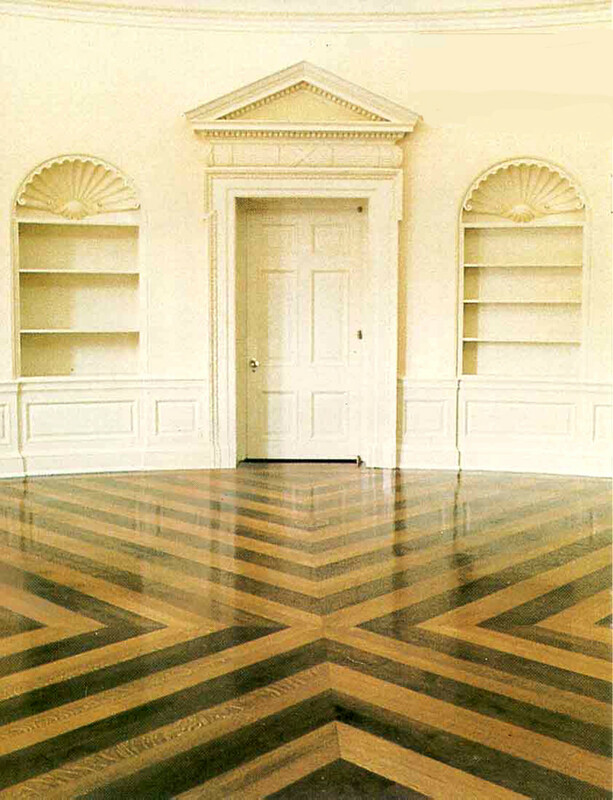 The floor, made of walnut and oak with its contrasting pattern was from a design by Eric Gugler, a White House architect during the FD Roosevelt years. Rug— Gone was the royal blue rug of his predecessor. Bush had it replaced with a pale gold wool rug with its signature rays shooting out from the presidential seal. Bush often remarked that the rug reflected his optimism about America as it reminded him of the rays of the sun. The $61,000 rug, which measures 30'5" by 23'5" and is similar in design to the rug that Ronald Reagan had designed for his Oval Office, was designed by Laura Bush and Ft. Worth designer, Ken Blasingame. Chairs—The two striped gold and blue chairs in front of the fireplace were often the center of photo ops with the president and other heads of state. These chairs are a reproduction of an English armchair that was part of the White House collection. 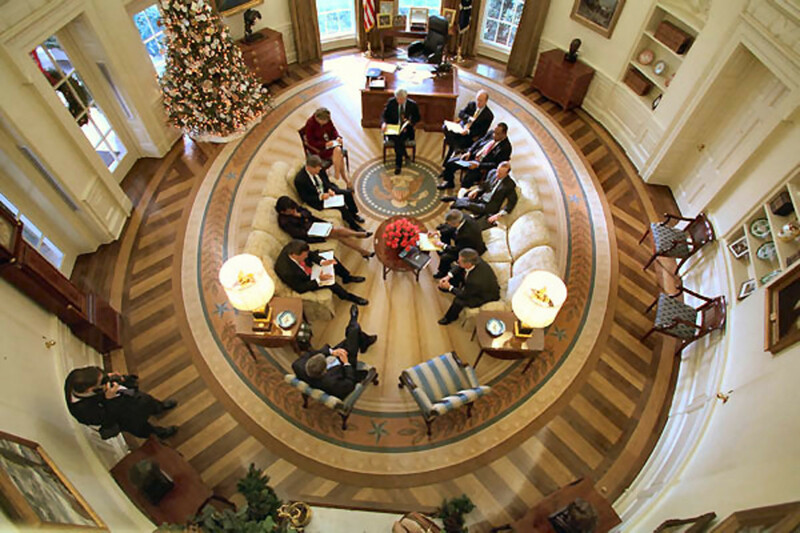 Flooring—Bush also had the Oval Office floor refinished. The floor has had several different textures: cork and linoleum being two. President Bush had the floor replaced, using a design drafted years ago by White House architect Eric Gugler from the Franklin Roosevelt years. The pattern is a contrast of oak and walnut. These days not much of the floor is visible given the size of the president's rug that covers most of the floor surface. However, not everything changes. Some things appear to be fixtures (at least until the next president takes them out!). The Resolute Desk has been used by many presidents whether in the Oval Office or elsewhere. President Clinton brought it back to the Oval Office after it had been put in the residence by Bush's father. 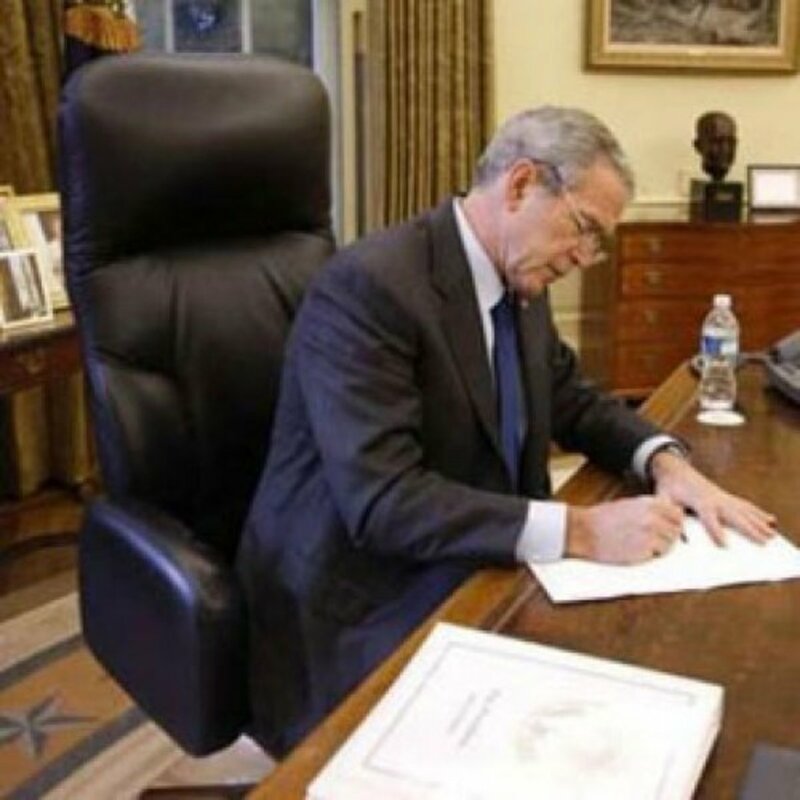 Bush #41 preferred the desk that he had used as vice-president and so he moved that one into the Oval Office. Other fixtures that have had staying power include the Seymour Tall Case Clock and the table-top bronze statue by Fredric Remington called "The Bronco Buster." Also, the table behind the president's desk that is usually adorned with family photos has been in the Oval Office since after the West Wing fire of 1929. The Seymour Tall Case Clock has been a prominent fixture in the Oval Office since the Ford Administration. WhiteHouse.gov is the official web site for the White House and President Donald Trump, the 45th President of the United States. 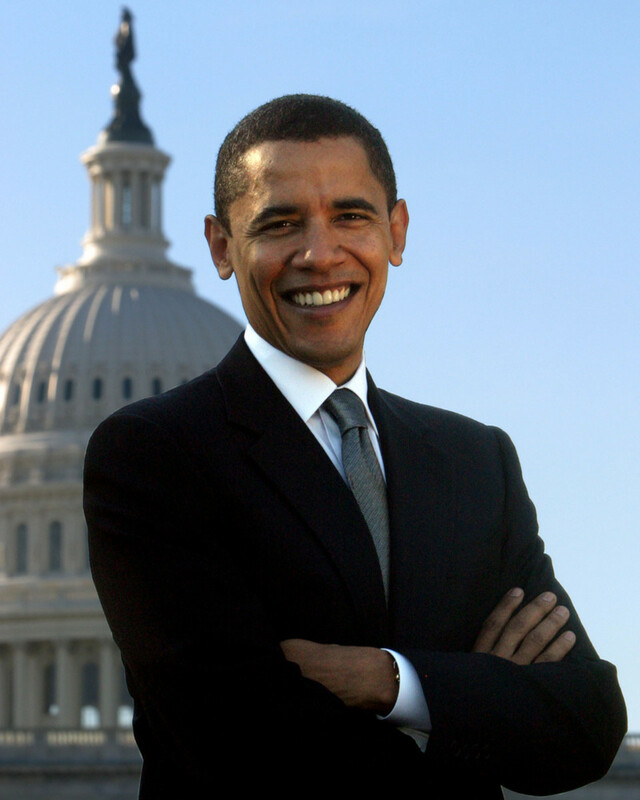 This site is a source for information about the President, White House news and policies. Many Americans associate the commander in chief with the Oval Office, and most presidents put their own stylish touch on the space. The History Company provides a number of White House historical items such as the president's Oval Office desk chair and historic reproductions. 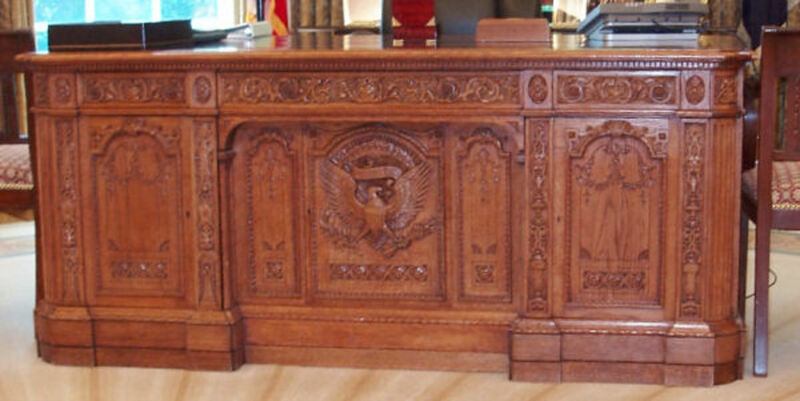 The panel face of the Resolute Desk, given to the United States by Queen Victoria. Presidents have used it off and on since then. President Clinton brought it back into the Oval Office and has been used by the presidents since then. "A Charge to Keep" by W.H.D. Koerner is one of George Bush's favorite paintings. It was also the title of his autobiography. The title is based on a Methodist hymn written by Charles Wesley. 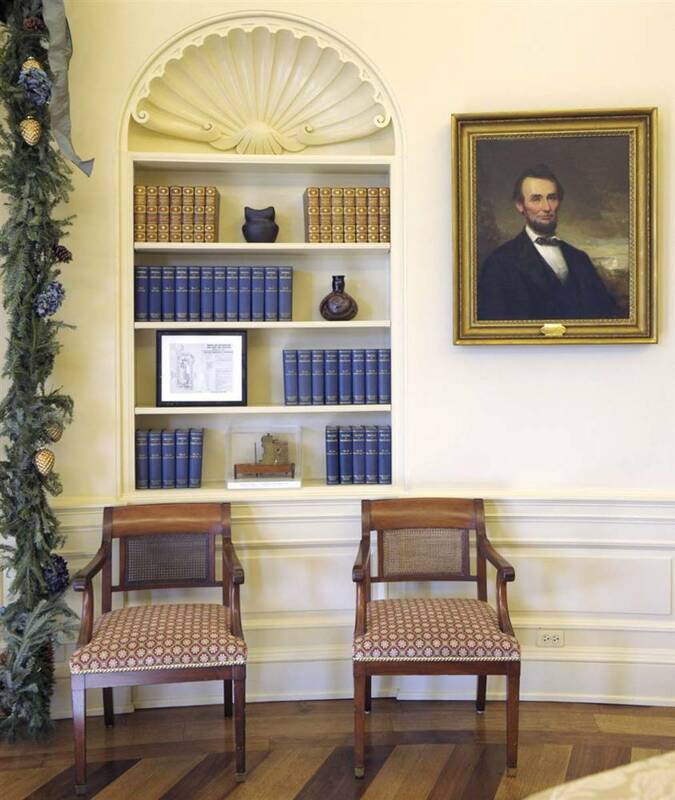 The likeness of Abraham Lincoln graced the Bush Oval Office two times: first, this George Story painting of Abraham Lincoln (above) along with a bust of the 16th president by Augustus St. Gaudens (below). ThelmaC, glad that you experienced that little slice of history for yourself. Thank you for reading and your comments. Wonderful hub and very accurate. I had the pleasure of visiting with President Bush in the Oval office for about 25 minutes. One of the things I remember most is the painting, "A Charge to Keep". The visit was one of the greatest thrills of my lifetime! Apraepntly this is what the esteemed Willis was talkin' 'bout.